Woodies stamps - a high quality range of stamps in a great choice of quirky designs. Made in Europe by a family owned and run business that has been supplying the stationery industry for over 150 years. With their high quality wooden handle, the range will appeal to all - crafters and non-crafters alike. Woodies are available as 30mm diameter round stamps, plus the mini Woodies range (15mm diameter), perfect for embellishing cards and gift tags, or even a "Well done" stamp for a colleague or a student. Emoticons don't always have to be computer generated! 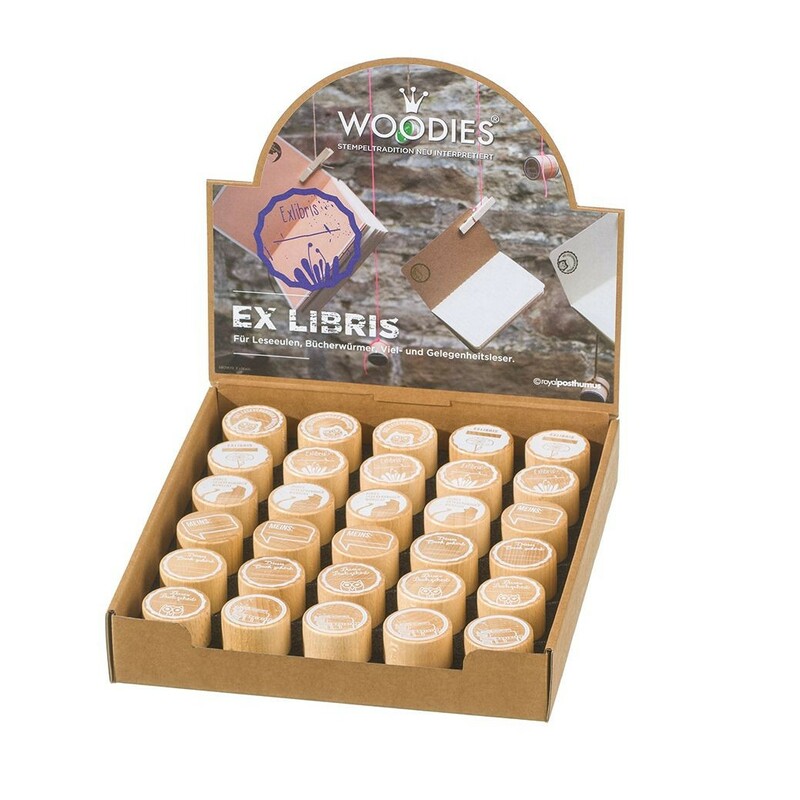 The Woodies range is complemented by a selection of 25 exciting stamp pads. Woodies are available as individual stamps, counter top displays and as a free standing floor unit.